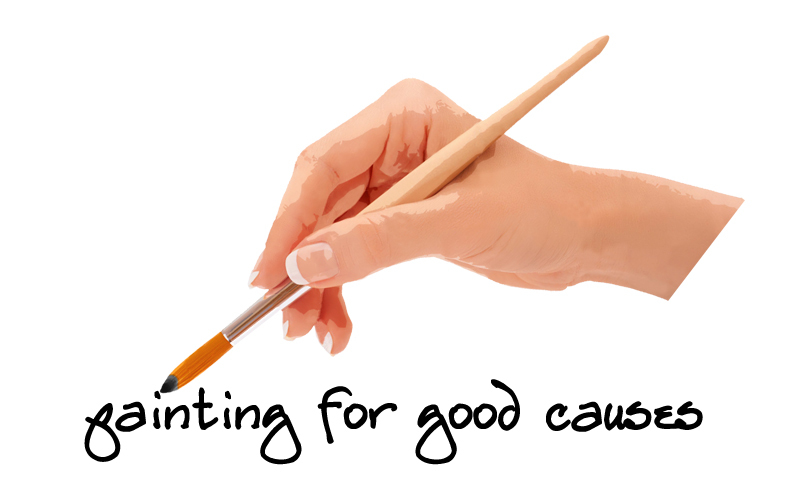 Painting for Good Causes nonprofit (501C3) where highly skilled Oil Painters, create portraits for families and individuals who need and deserve our support. Our work is, both, local & national in scope and is based out of the Tampa Bay area. Nationally, we paint for servicemen and women who have recently been deployed and we paint foster youth who are looking to be adopted. Locally, we paint for Tampa Bay families whose children have been diagnosed with cancer. For more than three years, we have been working with a national nonprofit, Hearts Apart.org, and have volunteered our skills in painting portraits of servicemen and women, prior to their deployment. We are dedicated to keeping military families connected, while these young and brave men and women defend our country. We also, work with a second, national nonprofit, The Heart Gallery painting portraits of foster children throughout the country, who need to find permanent homes and families. The Heart Gallery raises awareness about each of these foster children and this helps to locate their forever families. The third nonprofit that we work with is The Childrens Cancer Center, located in Tampa, Florida. We gift portraits to families whose children are undergoing treatment for cancer or blood disease. In the near future, we will be opening a studio where we will combine our humanitarian painting with the activity of mentoring young artists. We will help young people to gain artistic skills from professional artists, and through this mentoring, the youth have opportunities to earn money, enter college and launch careers with their art as well as contribute art to the community through public art projects.